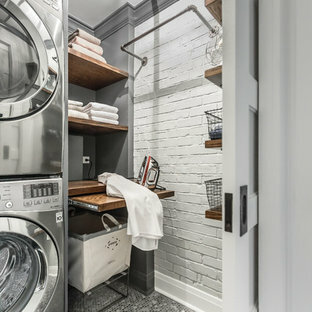 Whether you want inspiration for planning a white laundry room remodel or are building a designer laundry room from scratch, Houzz has 7,341 pictures from the best designers, decorators, and architects in the country, including Sport Court of Washington, DC and Designs & Interiors by The Upholstery Shop. 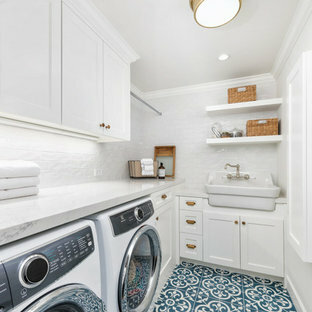 Look through white photos in different colors and styles and when you find a design that inspires you, save it to an Ideabook or contact the Pro who made it happen to see what kind of white laundry room design ideas they have for your home. 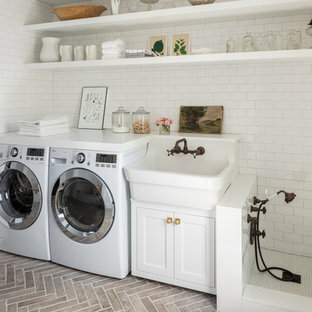 Explore the beautiful white laundry room ideas photo gallery and find out exactly why Houzz is the best experience for home renovation and design. Great useability with walk-in shower design. Hand held plus fixed shower heads and large seat. 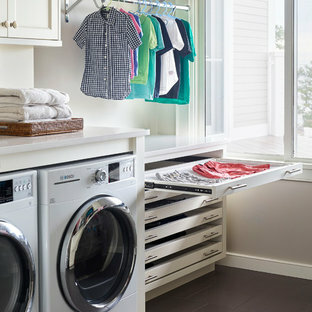 Towel warmer at entry/exit complements radiant heat floors for totally luxurious experience. 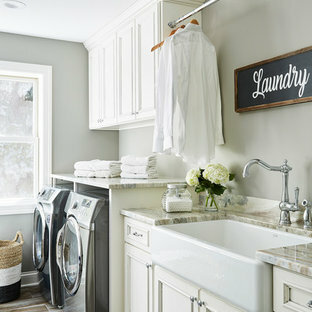 All bronze fixtures and handles are the perfect complement to the chosen colors. In the prestigious Enatai neighborhood in Bellevue, this mid 90’s home was in need of updating. Bringing this home from a bleak spec project to the feeling of a luxurious custom home took partnering with an amazing interior designer and our specialists in every field. 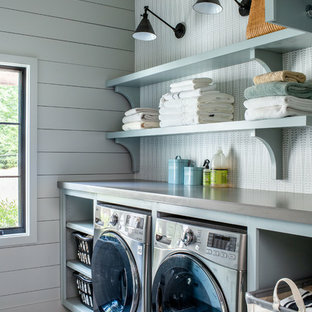 Everything about this home now fits the life and style of the homeowner and is a balance of the finer things with quaint farmhouse styling. 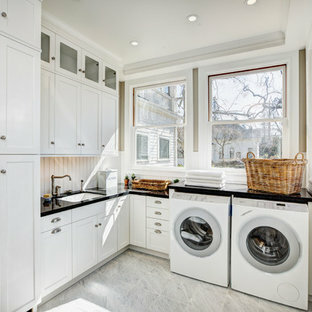 RW Anderson Homes is the premier home builder and remodeler in the Seattle and Bellevue area. Distinguished by their excellent team, and attention to detail, RW Anderson delivers a custom tailored experience for every customer. Their service to clients has earned them a great reputation in the industry for taking care of their customers. 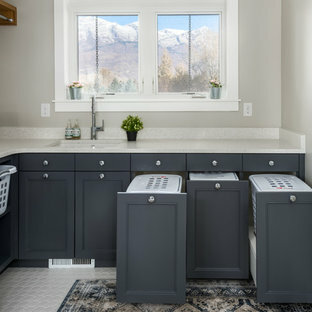 Working with RW Anderson Homes is very easy. Their office and design team work tirelessly to maximize your goals and dreams in order to create finished spaces that aren’t only beautiful, but highly functional for every customer. In an industry known for false promises and the unexpected, the team at RW Anderson is professional and works to present a clear and concise strategy for every project. They take pride in their references and the amount of direct referrals they receive from past clients. 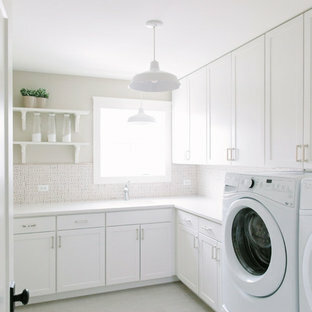 RW Anderson Homes would love the opportunity to talk with you about your home or remodel project today. Estimates and consultations are always free. Call us now at 206-383-8084 or email Ryan@rwandersonhomes.com. A beach-front new construction home on Wells Beach. A collaboration with R. Moody and Sons construction. Photographs by James R. Salomon. By New River Building Co.